Ships tomorrow if you order in the next 22 hours 21 minutes. Auto Ship & Earn + 142 Points What's this? Made up of multiple organs and responsible for providing every part of the body with nutrition and energy, the digestive system plays a huge role in your health. 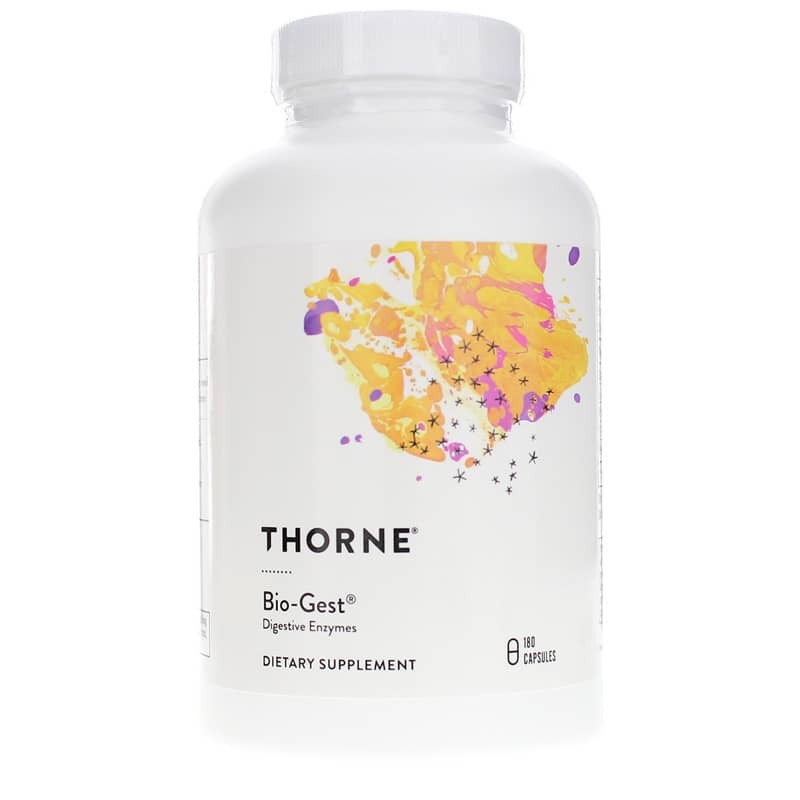 Give it the broad-spectrum support it needs with Bio-Gest by Thorne Research. Featuring HCl, pepsin, pancreatin, and ox bile, Bio-Gest promotes various digestive processes for a full range of support for the breakdown of food, the absorption of nutrients, and less gastrointestinal discomfort. The stomach naturally secretes hydrochloric acid. However, production can lag with age, certain health conditions, and the overuse of antacids. Hydrochloric acid plays a variety of roles, so supplementation can be key to good digestive health. HCl assists in the digestion of proteins, makes the stomach sterile against a variety of pathogens, inhibits overgrowth in the small intestine, promotes the flow of bile and pancreatic enzymes, and aids the absorption of several key nutrients. Pepsin is important for digesting proteins. Unlike many other supplement manufacturers, the pepsin in Bio-Gest is pure, undiluted, and lactose free. 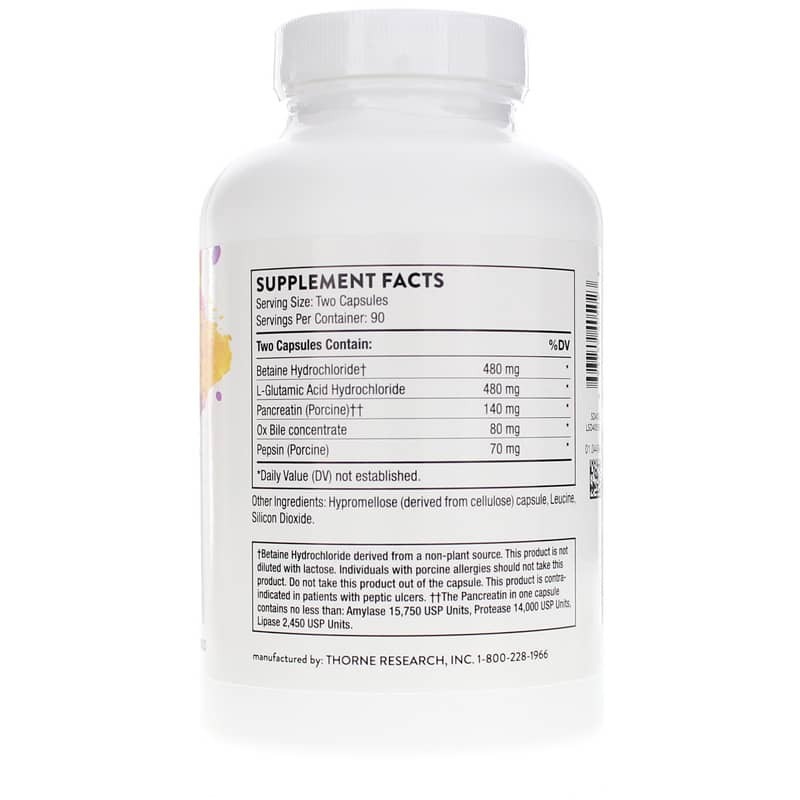 Pancreatin is a mixture of several digestive enzymes produced by the pancreas that is essential for digestion and absorption of nutrients, especially fats. And added ox bile is also a big help for breaking down fats. For healthy digestion and proper nutrient absorption, support every part of the digestive system. Order Bio-Gest today! Other Ingredients: hypromellose (derived from cellulose) capsule, leucine, silicon dioxide. Adults: Take 1 to 2 capsules with each meal or as recommended by a healthcare professional. A woman who is pregnant or nursing, or who might become pregnant, should consult a healthcare practitioner before using this product. Keep out of the reach of children. Excellent service and product. I will be ordering more soon! Totally recommend this efficient company. I am a return customer. I will be buying more Bio-Gest as long as the dollar holds up! 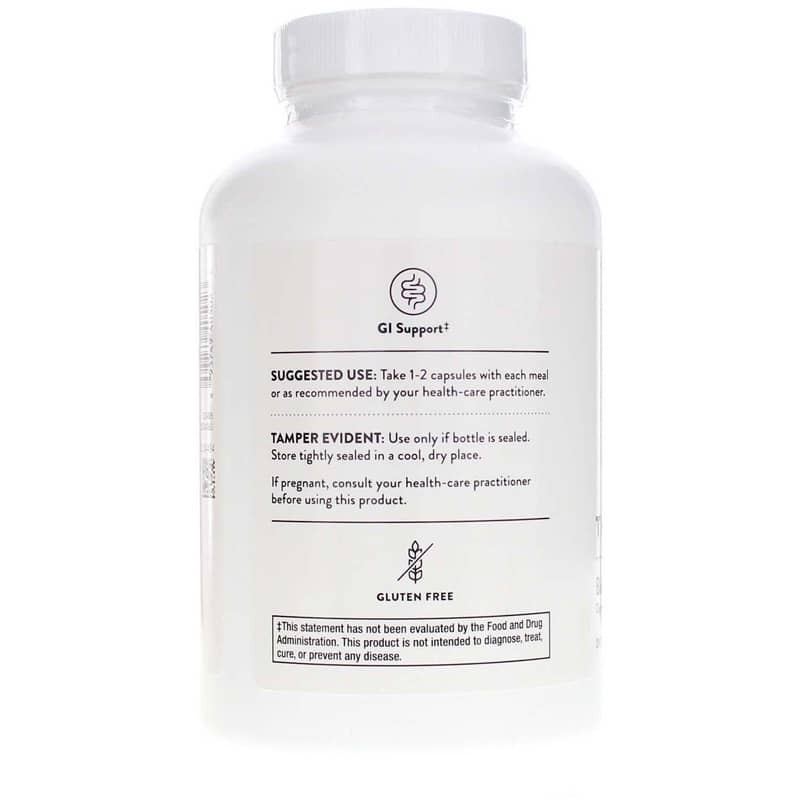 Bio gest has greatly helped my mom. She eats food like a normal person. Thank you sooo much !!!! My mom used to be afraid to eat and she only had baby food in jars. We helped her along the way testing foods but bio gest has made her food intake great !! !